Learn how to share Android Screen to another Android screen via Inkwire App that will we working exactly like well-known PC tool that is Team Viewer by which you can easily control another android right from yours. Now, in our computer system, we used to share our PC screen with our friend or with our office clique for any work, either in the case of troubleshooting or any other basic need. In Android there are many applications are present to share your device screen with the other device screen, but you may find so many bugs and ads in all the application. Now, if you want to share your device screen remotely with the other device for any purpose, you can use an app named Inkwire. 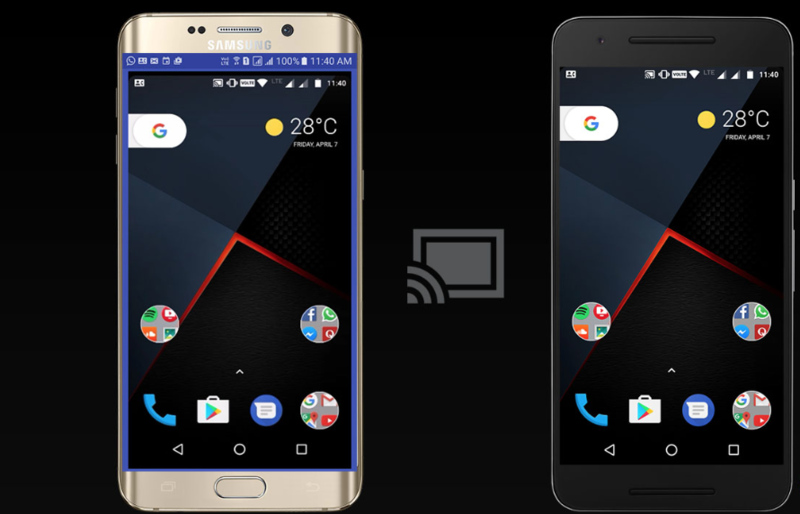 Here below we will show you how to share your device screen with the other Android device with the use of this application. So follow up the below guide discussed below to proceed. In our tutorial streamer, Android device will be called as the sender. The device of which screen will be shared with the receiver. On the other hand, a receiver device will be called as the receiver in our tutorial, which will have access to the live access to the sender’s device. Both the recipient and sender must have Inkwire App installed on their Android device. The last but the most important thing is the working internet connection. Internet connection of good speed must be there for the normal flow of the whole process.